A story in the BLACK universe. 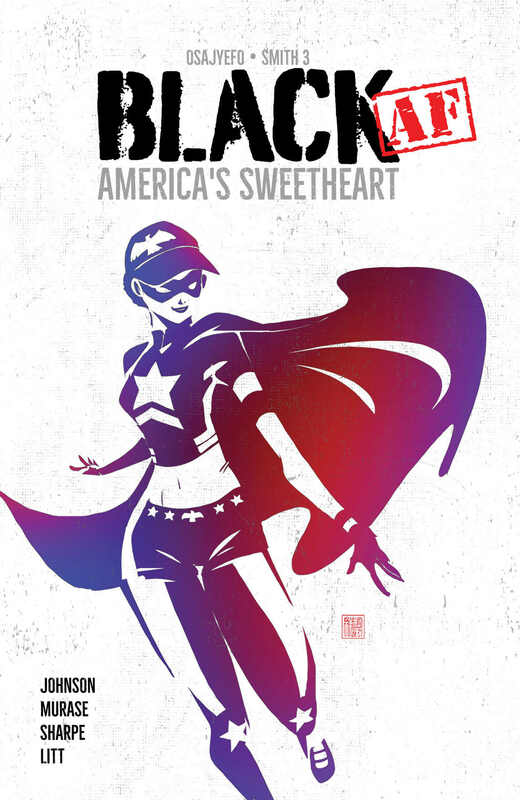 Synopsis: Can a black woman be America’s first superhero? First off, I just want to say hats off to Kwanza Osajyefo, Tim Smith 3, Sho Murase, Jennifer Johnson and the rest of the crew at Black Mask Studios. The material that this studio has been putting forward lately is deserving of mass attention. Not only is the material fantastic, but the themes and premises could not be more relevant to the relentless conflicts that are relevant in America today, and in America’s history. More and more we are seeing respectable attempts through mass media and pop culture to give empowerment to groups of those who have been historically been treated unequally and unjustly. ALL of us have been categorized, rather by gender, race, religion, sexual orientation, etc., but we must remember OUR shared identity has people, human beings. Now, I say all of this with great humbleness and caution for my desire is in no way to offend ANYBODY in ANYWAY. Nor do I wish to inquire myself as someone who knows what it’s like to live in constant fear or judgement because I personally and simply do not have those experiences. What I’m trying to express is the effort by Black Mask Studios, along with other sources of media, that focus their creative, artistic abilities towards the passion to bestow beliefs into a country that will allow for respect and care for their neighbor, regardless of any categorization that may identify a specificity of that individual’s self. With all of that been said, I loved this comic and I can’t wait for more issues. The artistic design and panel work are both very unique. Personally, I thought the art and panel structure of this book were creatively different from anything I have ever seen in a comic. Both the characters and the themes within this comic are very well formulated and compliment each other greatly. My biggest source of excitement comes from my anticipation for what the future holds for these characters. Osajyefo and crew have created a new and inventive way to tell the superhero tale, and I praise them for that. The greatest impact this comic had on me was the way it left me with deep, emotional thoughts. I highly recommend Black AF: America’s Sweetheart to all. Hopefully, others who read this comic are left with the same relationship that I have formed with this series.